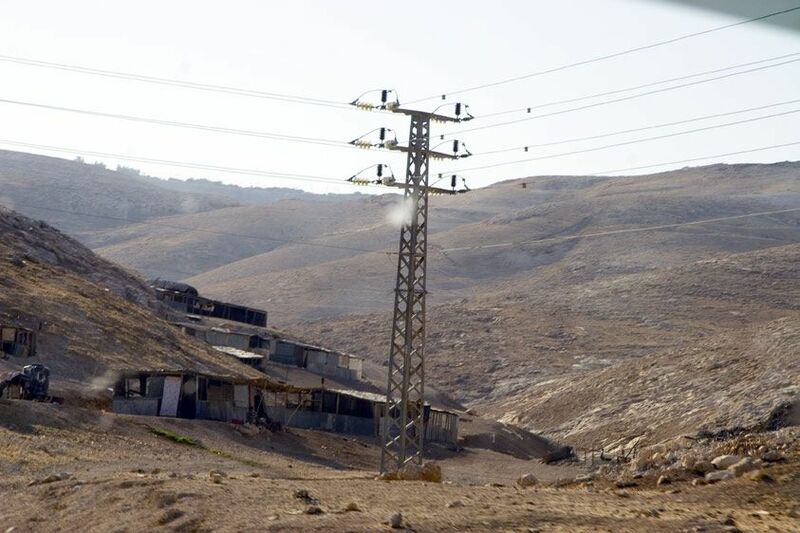 Bedouins live in rural poverty, bypassed by Israeli infrastructure for the West Bank settlements. The Olive tree is a regional symbol of nourishment and healing. 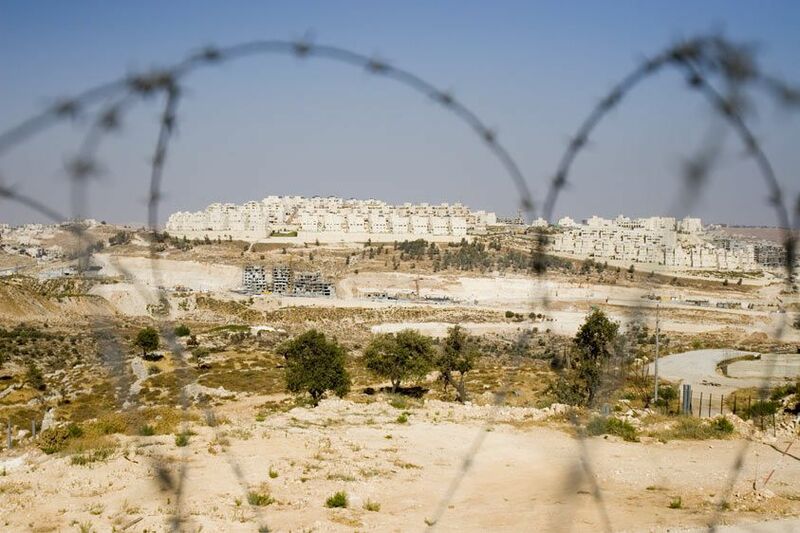 Thousands of olive trees have been uprooted for the construction of settlements and the wall. 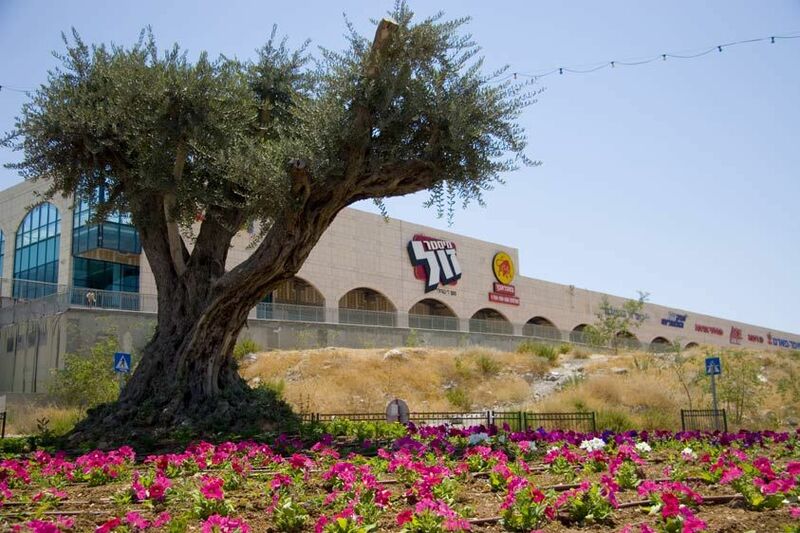 An olive tree was transplanted in a settlement commercial area with fast food and Western mall culture. 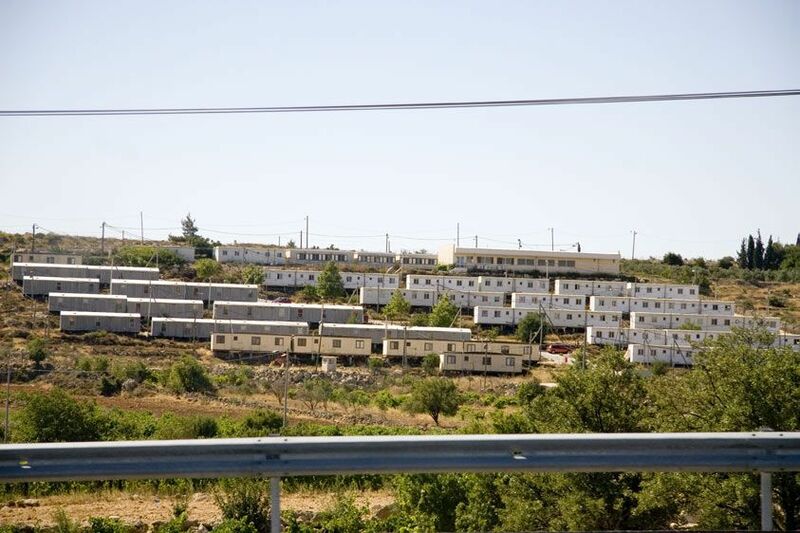 Areas for upcooming settlements are often 'claimed' by placing trailer homes as the first signs of Israeli population in the area. 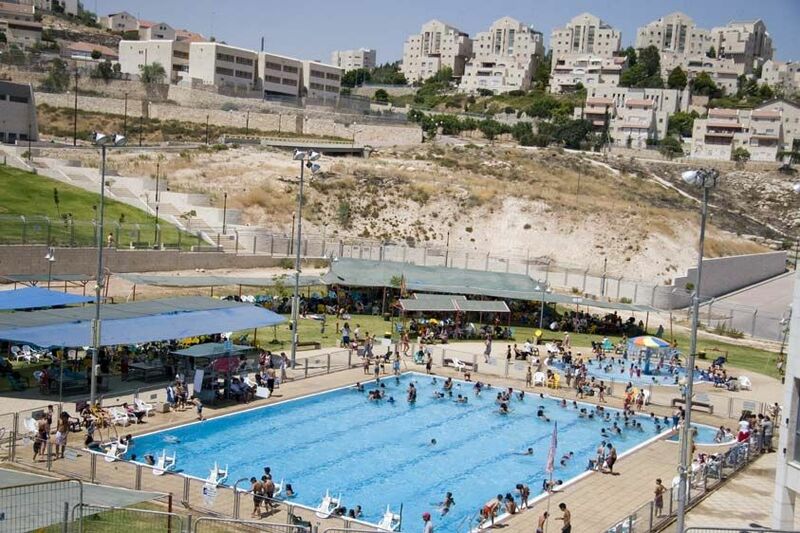 Like many settlements, Ma'al Adumim occupies the strategic location of a hilltop. Settlers adhere to a conservative, even orthodox lifestyle. Here, settler males sing from the Torah. A stone wall made by Palestinian farmers is dwarfed by the Israeli segregation wall. 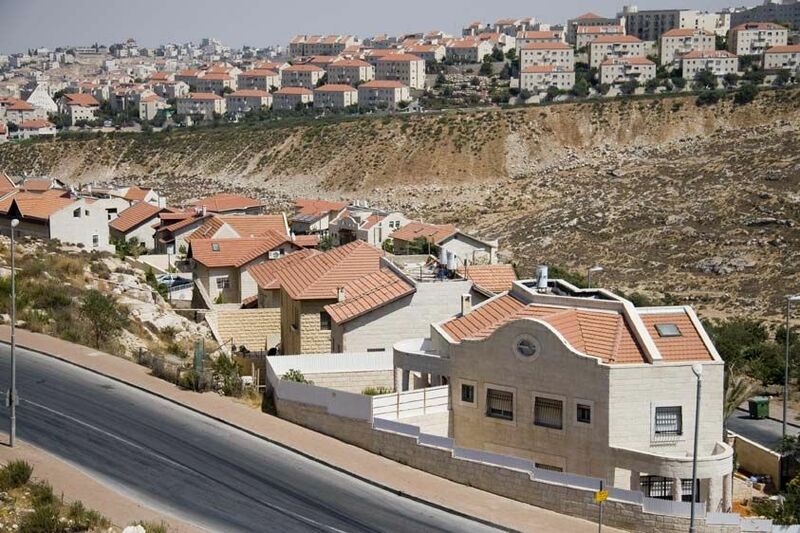 The settlement Gilo perches on the hilltop, it's area 'protected' by the segregation wall. A settler march storms through the Arab Quarter of Jerusalem's Old City under the watch of the Israeli military. The Palestinian population was placed under curfew to avoid confrontation between the two groups. The Settlement movement was founded on the idea that the Jews have a right to be in the Biblical lands of Judea and Samaria, commonly known as the West Bank.A settler rally charges through the Arab Quarter of Jerusalem's Old City.